Well, it’s official. My book Falcon Heart is finished. The print proof came in yesterday evening, and it looks great! I’m so thankful and excited. This has been a long time in coming, and the Lord has brought it together. Falcon Heart is available in both print and ebook on Amazon. My appreciated reviewers, readers, and friends, I hope you enjoy it! I also just applied as a GoodReads author today. Thank you so much! Slavers seize Kyrin Cieri from the coast of medieval Britain and sail for Araby. With a dagger from her murdered mother’s hand, an exiled warrior from the East, and a peasant girl, Kyrin finds mystery, martial skill, and friendship closer than blood. The falcon dagger pursues her through tiger-haunted dreams, love, and war in the Araby sands. Kyrin is caught by the caliph’s court intrigue and faces the blade that took her mother. One thing can give her the will to overcome, justice against hate, dagger against sword. Murder, sacrifice, vengeance…compassion and the art of war. 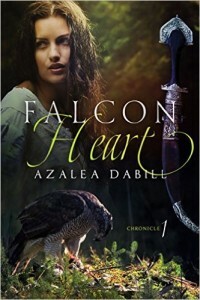 Whether you love historical or Christian medieval romance with a touch of martial arts fiction, or need a young adult epic fantasy series for teens, Falcon Heart, Chronicle I is a solid choice. Read the excerpt of this medieval adventure and discover the magic of Falcon Heart. A medieval fantasy of romance and mystery from Britain to Arabia and back. 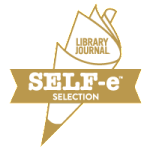 This entry was posted in Odds and tagged adventure, author, book cover, Falcon Heart, fantasy, Publish, reader on April 9, 2015 by Azalea Dabill. Midnight Captive was an intriguing read for me, and this review is a few of my thoughts on it. At first I was a little put off by the confused similes and metaphors and the less-than-stellar grammar. But I was drawn into the story and came to care about the characters deeply. True, they could use fleshing out, but they hold crystal truths up to a reader’s eyes all the same. Prince Sheridan’s discovering his own identity apart from his brother, Princess Hermione daring to believe in sacrificial love, the minstrel, Alyn’s, bravery in so many ways, and Phaedra’s perseverance and hope of freedom from her and her sister’s curse. Even the evil Seanan was a person with more than one facet. I would love to see Midnight Captive rewritten in a fuller version. Thank you for the privilege of reading your work, Emilie. Keep writing. I see a lot of promise in how you wove Cinderella, the Pied Piper, and other tales into a new story. Just be true to the vision you see in your mind, see the vision as clearly as you can, and find words that fit that vision. Be picky about the words. They make or break your tale. 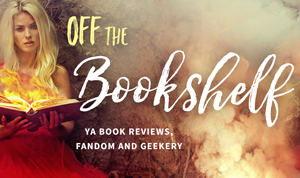 This entry was posted in Guests and tagged author, book cover, fantasy, Guest review, inspiration, overcome, reader on April 6, 2015 by Azalea Dabill.